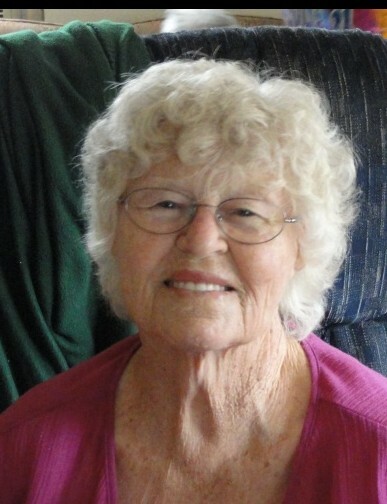 Ollie Magalene (Bloyd) Smith, 90, passed from this life on February 2, 2019. She was born on November 4, 1928 in Deport, Texas to John Allen Bloyd and Cora Ethel (Long) Bloyd. She married her husband William Eli (W.E) (Bill) Smith on July 19, 1946 in Arthur City, Texas. She was a member of the Baptist Church who loved fishing and tending the flowers in her garden. Olllie is preceded in death by her husband, William Eli Smith; parents: John Allen and Cora Ethel (Long) Bloyd; brother: William Luther Bloyd; sisters: Vadus Waller, Trevelea Dewitt, Bertha Marie Alexander, and Imogene Wilma Dunham; and one grandchild: William Clint Smith. She is survived by her children: Sheila Sallee, Chris Smith and wife Connie, Margaret Jones, Donald Smith and wife Cindy, Walker Smith and wife Margo, Wallace Smith and significant other Connie Thurman, and Delilah Smith-VanSickle and husband David; grandchildren: Jeffrey Smith, Gena Smith and husband Scott, Misty Carr and husband Stacy, Christy McKee and husband Evan, Christopher (Kit) Smith and wife Liz, Tracy Settlemires-Allen, Jammey Howard and husband Chris, Cybil Nicole (Nikki) Cavalieri and husband Vince, Ashley Smith Cooper and husband Eric, Rachel Smith, Angelica Smith, Ollie RayAnn Smith, Cable Smith, William Smith and wife Emily, Sydnei Montgomery and husband Adam, and Wilburn Eli (Wes) Smith; great-grandchildren: Stormy Baker and husband Julian, Raydon Smith, Seth Smith and wife Bethany, Tamren Stuart and husband Rusty, Nathaneal Smith, Reese Smith, Eli Mayer, Hailey Carr, Kaleb McCarthy and wife Alexis, Sunshine McKee, Baylee Ann Marie, Christopher Cash Smith, Elizabeth Cai Smith, William Cruz Smith, Blake Settlemires, Isabell Settlemires, Summer Wade, Rigen Howard, Travis William Smith Cooper, Noah Andrew Smith Cooper, Jasmine Eryn Smith Cooper, Vera Quin Weaver, Ruby Don Crow, and Jacob Lee James; great-great-grandchildren: Antonio Maxamillion Smith, Pheonix Alexzander Baker, Chance Alan Smith, Jantzen Brindly Stuart, Ada Jeslynn Rose Stuart, Addyson Kay McCarthy, Jack Daniel Bible, and Jacob Lee Settlemires.